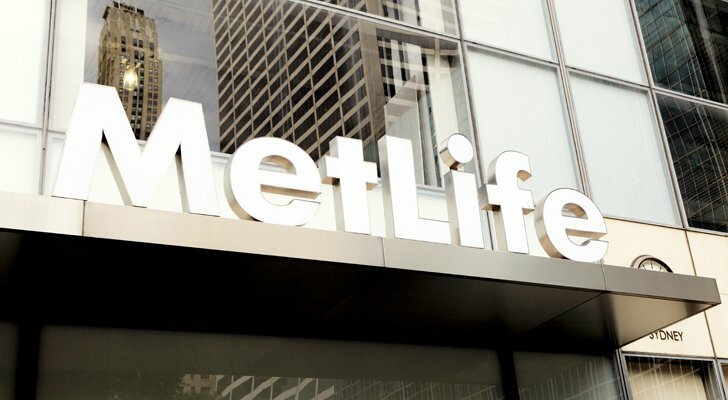 The irony of MetLife Inc (NYSE:MET) stock at the moment is that insurance stocks are supposed to be safe — and boring. Right now, MET stock hardly looks like either. Indeed, I called out MetLife stock as one of 10 boring stocks to buy back in May and, for a while, that looked like an excellent call. MET stock would touch a post-crisis high in early November, boosted by the spinoff of its US retail life insurance business into Brighthouse Financial Inc (NASDAQ:BHF). Since then, however, the MET story has become more complicated than investors expected — or would like. First, MET stock fell despite a strong third-quarter report. Then, the company’s outlook for 2018 disappointed, sending MetLife stock down another 2%. Two days later, in a quiet Friday afternoon filing, MetLife announced it was looking for roughly 600,000 annuity holders and might have to increase its reserves as a result. There was a reason MetLife issued that news on Friday afternoon, which, as the old political saw goes, is the best time to release bad news. Within days, state regulators were eyeing the company. Within weeks, MetLife was delaying its Q4 earnings report and admitting to a material weakness in internal controls. MET stock would fall over 8% on the news and shed another 11% over the next few weeks. Those earnings finally arrived on Tuesday afternoon — and MetLife stock has risen nearly 4% as of Wednesday’s close. The question now is whether the bad news is finally over. MetLife’s Q4 earnings, according to the wires, missed consensus earnings per share by 22 cents. But that’s due to analyst models being slow. Overall, final results for the quarter were basically in line with the preliminary results issued two weeks earlier. And, to be sure, the news isn’t particularly good, at least on a headline basis. Adjusted EPS of 64 cents was down 33% year over year. Adjusted revenue rose just 1%. And book value per share fell 10% YOY. But looking closer, the quarter wasn’t that bad — excluding the one-time hit from higher reserves for the annuity liabilities. That charge came to $261 million after-tax — about 26 cents per share. Effects from US tax reform provided another hit. Aside from those one-time factors not excluded from the company’s reported adjusted numbers, earnings did grow in Q4, as they did in the first three quarters of the year. Meanwhile, the book value decrease came about largely due to the Brighthouse spinoff. So while revenue was a bit disappointing, this really wasn’t a bad quarter for MetLife, beyond the annuity reserve issue, which seems to be a one-time problem, with MetLife detailing its plan to fix the internal controls over that segment. On the Q4 conference call, MetLife also made sure to call out its long-term case business — exited in 2010, but still on the books. No doubt aware of the issues at General Electric Company (NYSE:GE), which had to take a multi-billion dollar charge relative to its LTC business, MetLife argued it had a safe book with plenty of margin to manage unexpected losses. The point of bringing up the LTC business is clear. MetLife is trying to disprove the “there’s never just one cockroach” argument. It’s trying to assure investors that the annuity issue is a one-time, one-off deal. And if that’s the case, MET stock likely is available at a discount. Is MET Stock Worth Chasing? That seems to be the argument some investors are making in buying MetLife stock after earnings — and it’s a reasonable argument. MET now offers an attractive 3.5% dividend yield. Both tax reform and higher interest rates should benefit free cash flow, which sets up a potential dividend raise (though likely not until 2019, based on post-earnings commentary). MetLife is showing strong growth in Asia, and expects earnings growth to pick up there going forward. The forward P/E multiple is about 10, which seems to price in at least some risk that the issues seen of late will spread. And the price to book is well under 1x; should MET return to its book value, the stock still has double-digit upside. But there are still some concerns. Again, 2018 guidance was considered somewhat disappointing, even before the annuity issue was disclosed. More broadly, there’s a matter of trust here. At its heart, the insurance business is based on getting the math right. And so the disclosure of a significant error has to raise the risk of there being other errors elsewhere. And while MET stock looks cheap, so do similar plays like Prudential Financial Inc (NYSE:PRU) and Principal Financial Group Inc (NASDAQ:PFG), both of which similarly have pulled back of late. All things equal, I like MetLife stock at these levels, even with Wednesday’s 3% gain. But MET can’t be seen as what it was just a few months ago: a steady, safe dividend payer. There are risks here, and volatility is likely to be higher in 2018 than it’s been in past issues as the annuity issue plays out. MET is probably worth the risk for most investors. But that may not be true for the types of investors who owned MetLife stock in the past. Article printed from InvestorPlace Media, https://investorplace.com/2018/02/metlife-met-stock-earnings-calm-investor-nerves-now/.